Federal courts have loosened the restrictions on the discoverability of draft reports. But don’t be lulled into complacency. Many exceptions exist, so it’s prudent to remain cautious when exchanging documents with expert witnesses. In 1993, Congress revised Federal Rule of Civil Procedure (FRCP) 26 to allow discovery of all communications between attorneys and testifying expert witnesses, including draft reports. The purpose was to provide a paper trail for regulators when attorneys pressured experts to modify their opinions to better serve their clients’ interests. The result was that some experts and attorneys began to limit record retention and refrain from gratuitous note-taking. If an expert created a document that could be detrimental to a case, a new expert often was hired to ensure clean workpaper files. This added to the cost of litigation and distracted experts from the merits of cases. Effective Dec. 1, 2010, FRCP 26 has been revamped to reduce the cost of discovery and facilitate freer exchange of information between attorneys and expert witnesses. Expert-attorney communications, including draft reports, are no longer discoverable in federal courts. 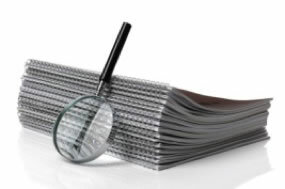 Draft reports are considered a work-in-process rather than a final work product. Now expert-attorney communications generally are subject to work-product protection, but there are some exceptions. Attorney-expert communications still open to discovery include written documents about expert witness compensation, as well as any facts, data or assumptions the attorney supplied that provided the basis for the expert’s opinion. Moreover, the exemption of draft reports only applies in federal courts. It also applies to discovery, not to admissibility, during trial. And state and district courts aren’t mandated to adopt the modified version of FRCP 26. The Tax Court hasn’t adopted the new rule yet, either. Clearly, sharing draft reports and other documents is no longer taboo. But prudent experts and attorneys understand the limits of the new-and-improved Rule 26. Please contact us at (908) 782-7900 or email info@bkc-cpa.com if you have any further questions or to discuss BKC’s expert witness services.